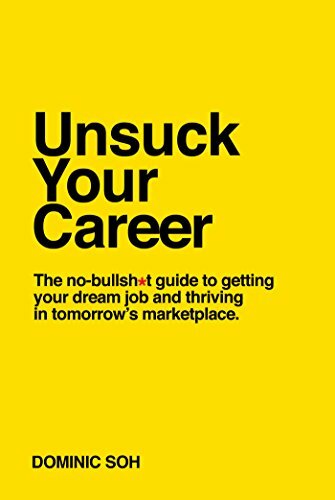 A guide to getting your dream job and thriving in tomorrow's marketplace. Sick and tired of being unemployed or having a mediocre career? This is your game plan to gain an unfair employability advantage, stand out from the crowd and develop the skills for tomorrow's marketplace. The book explains how we came to be servants of an economic system, rather than the other way around. It proposes a theory of wholism for critiquing the present reality and envisioning the world we want, and then suggests actions to help us get there. The information in this book is a tool providing you with inspiration and practical guidance to start your career. This guide contains proven methods to use in your daily interactions with colleagues, managers, industry professionals and customers. While there is no exact science to writing the perfect resume, this eBook will provide you with as much information on what to include in the resume as well as avoiding the major resume mistakes that commonly lead to having your resume deleted. This wikibook is an attempt to explain the process of finding a job and getting hired for that job. The book will explain such topics as finding a job, writing a resume, applying for a job, performing at an interview, and more.